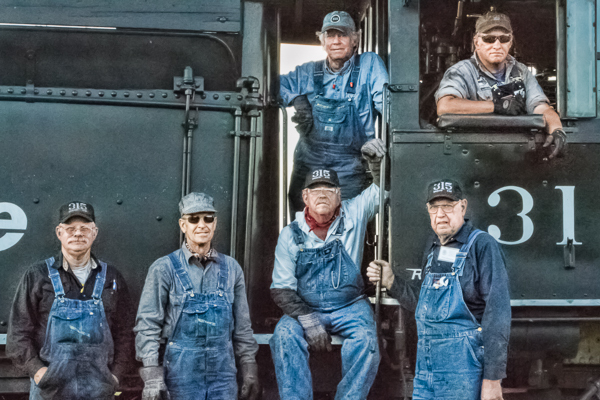 Our picture today is the crew from the historical society ride on the Cumbres and Toltec line with the 315..
A: The school teacher tells you to spit out your gum, while the locomotive says "Choo Choo Choo!" Q: Why can't the engineer be electrocuted? A: Because he's not a conductor! Q: Why can't a steam locomotive sit down? Q: What do you call a train that eats toffee? Q: Why is the railroad angry? A: Because people are always crossing it!